Soul Lift Cacao is a social enterprise working exclusively with groups that prepare organic, artisanal cacao at Lake Atitlán (pictured above), in the western highlands of Guatemala. Seekers and explorers travel there from around the world to soak up the powerful energy of what is certainly one of the most beautiful spots in the Western Hemisphere. Three immense volcanos line the lake’s southern edge. And around the lake, Mayan tribes can be found speaking their own unique language dialects. Even though the villages look close on the map, these sub-cultures evolved distinctly due to the difficult of traveling around the lake in the past. This women’s collective in San Marcos la Laguna selects and roasts the best beans grown at an indigenous family farm near Cobán. Then the cacao is ground into paste in San Pedro (just across Lake Atitlán from San Marcos), before the women pour intentions into it to be a "soul medicine" for the world. The families who prepare the cacao receive 100% of the profits of what they sell. This source farm in Alta Verapaz (eastern Guatemala) is off the grid, creating hydroelectricity from a local spring to drive their custom-made grinders. They are actively working on reforestation and permaculture projects, and finding ways to support indigenous farmers in their community. DaliLeo keep free-range livestock that fertilize the cacao trees and help turn the soil. They also craft their own gourmet chocolates using custom-made stone grinders, and sell this and the pure cacao at their shop (El Taller) in San Marcos. This cacao is grown near the Pacific Coast before an indigenous family finishes it in San Pedro la Laguna, at Lake Atitlán. The Mayan family still uses traditions passed down by their ancestors, keeping them alive even through the Guatemalan civil war that ended in the 1990s. 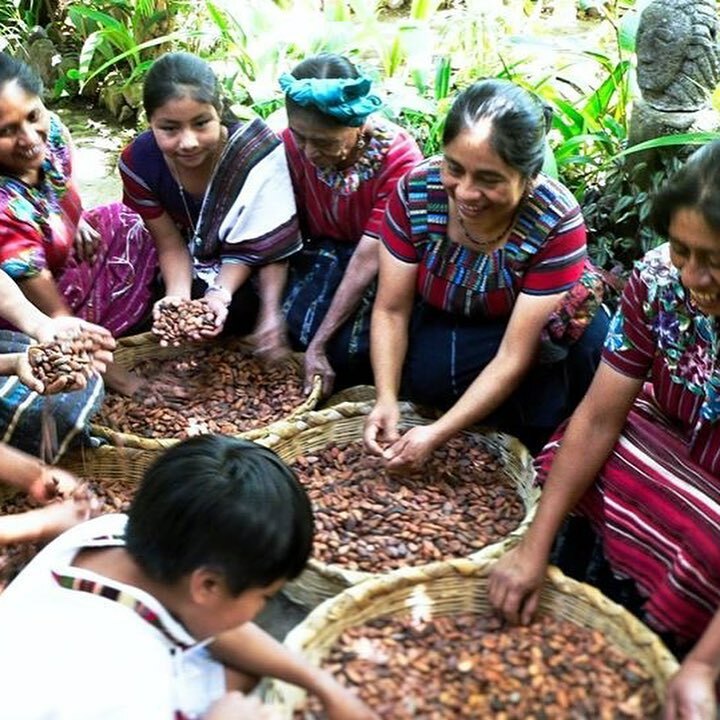 Spiritual leaders Tata Pedro and Nana Marina direct the group, and incorporate the cacao into the Mayan indigenous ceremonies they host around the world. The family retains 80% of proceeds from their sales! BUY THESE CACAO VARIETIES IN OUR ONLINE SHOP!